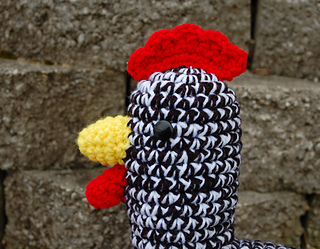 This hen was made as a gift for my oldest son, our household chicken whisperer. 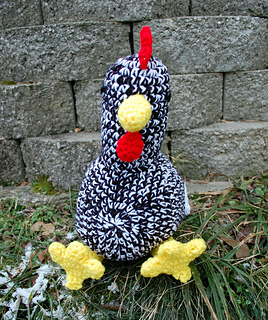 At about 12 inches high (from bottom to comb, not counting the dangly legs) it’s a bit smaller than the Barred Rock it was based on. 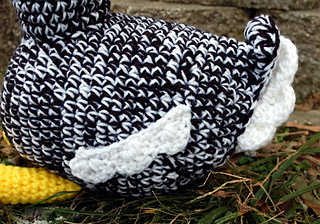 The head and body are made with two strands of yarn worked together, so it could be made in a solid color or with your favorite color variations. 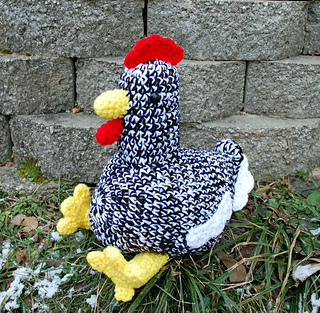 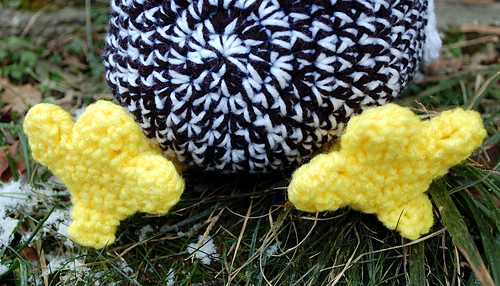 Whether you’re looking for a rustic decoration or someone in your house just loves to snuggle chickens, you can make your own Big Fat Hen - or a whole flock!